This level has medium difficulty. 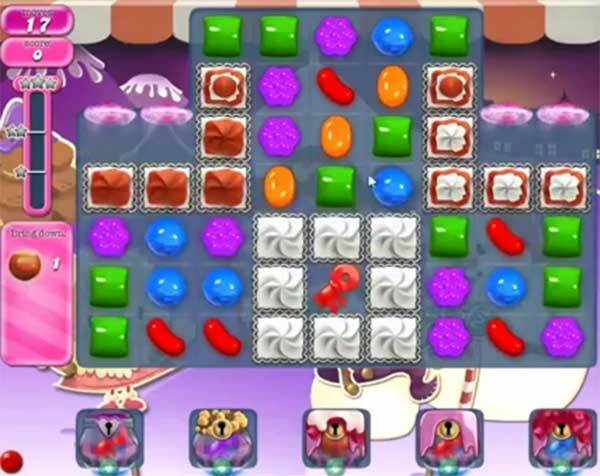 For this level try to play near to blockers or play as much as bottom as you get the chance to shuffle more candies to get more chance to make special candy. After play near to ingredients or combine special candies with each other to move ingredients to the bottom. This level seemed impossible at first, then I got a good board and used a lollipop to smash the. Last key! My level 1388 is different from your video! !